Florin Mayer's triumph made him the first German to win at home in Halle since Tommy Haas in 2012. 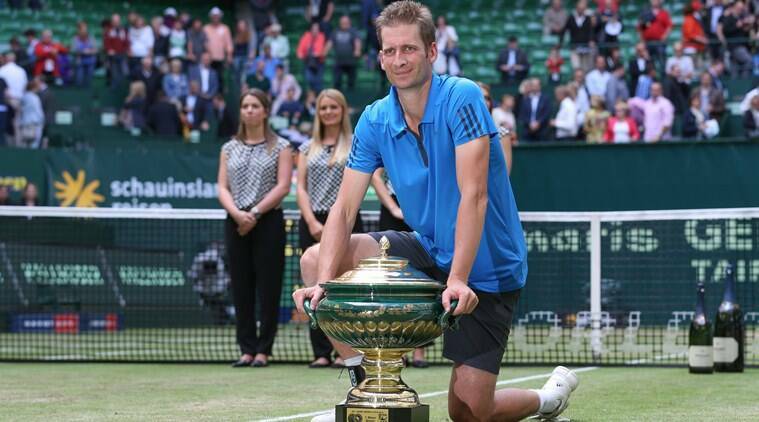 Florian Mayer put more than a year of injury problems behind him to secure a 6-2 5-7 6-3 victory over teenager Alexander Zverev in an all-German final at the Halle Open on Sunday. The 32-year-old Mayer’s triumph made him the first German to win at home in Halle since Tommy Haas in 2012. At 192 in the world, he also became the lowest-ranked tour-level winner since then-number 240 Nicolas Mahut won in Den Bosch in 2013. The win on grass in the pre-Wimbledon build-up tournament gave Mayer his second title, five years on from his maiden triumph on the clay of Bucharest, will put him back into the top 100 in the ATP rankings. In 2011, he was ranked 18th. The 19-year-old Zverev, who knocked out 17-times grand-slam champion Roger Federer in the semis and was seeking his first title, put up a good fight, particularly in the second set of the match between the two unseeded players. After losing the first set he reeled off nine of the first 10 points in the second, breaking in the opening game and consolidating for 2-0. The teenager then saved two match points before winning the set to force a decider. But Mayer broke to go 4-2 up and his steadier game gave him the title on his fifth match point after one hour 55 minutes.